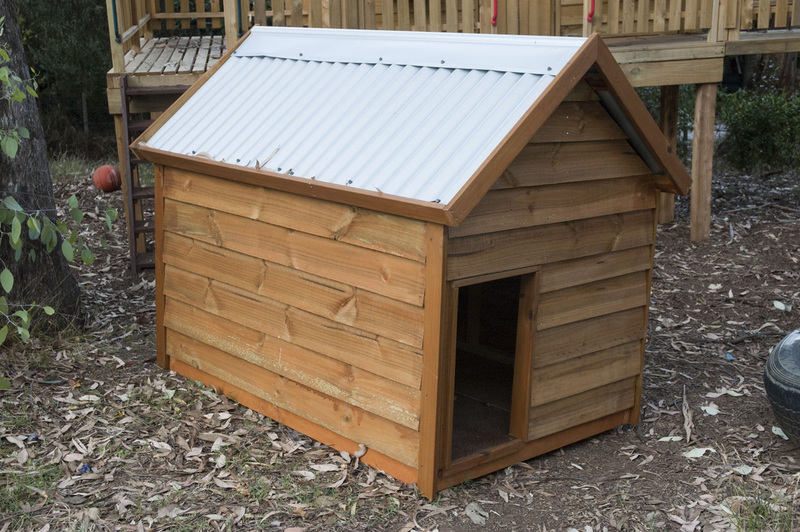 Like all of our timber products, the wooden dog kennels are sturdily built for longevity and with design consideration for pet comfort and protection. 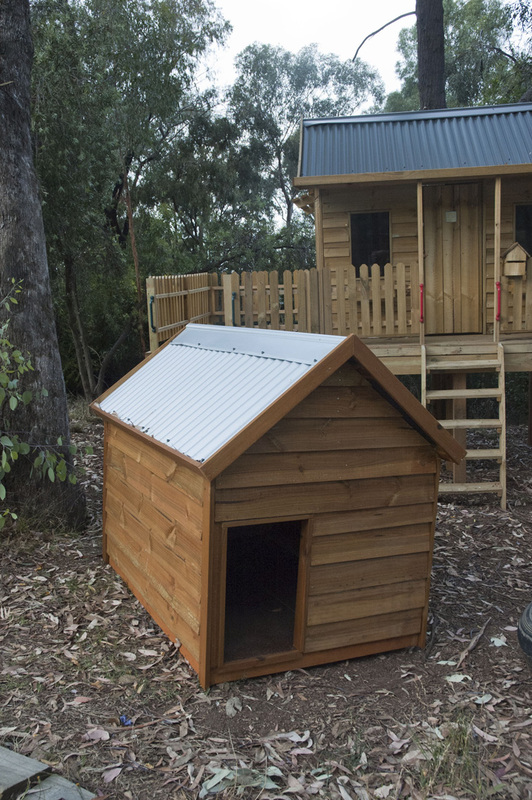 The frames and cladding are constructed from a pet safe / child safe ACQ treated pine and there is a colourbond roof – your choice of colour from the colourbond range – to protect your fury friend from the harsh Aussie elements. 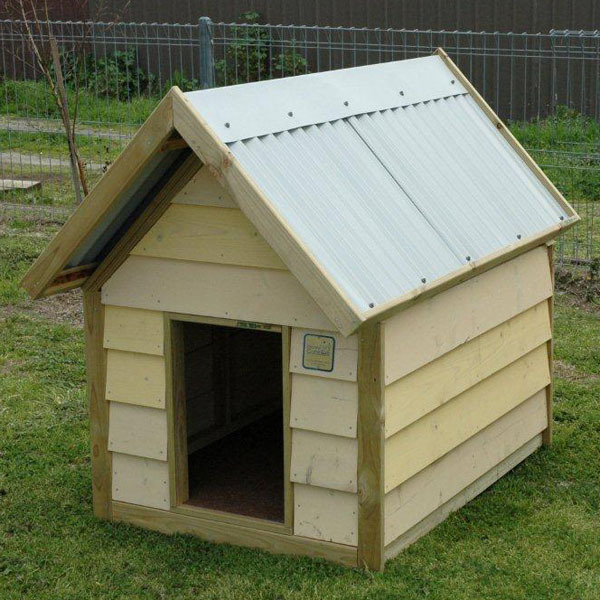 The timber kennels have a high pitched roof to allow for plenty of ventilation, have a sturdy yellow tongue floor raised on a solid treated pine frame to keep your friend away from the damp. 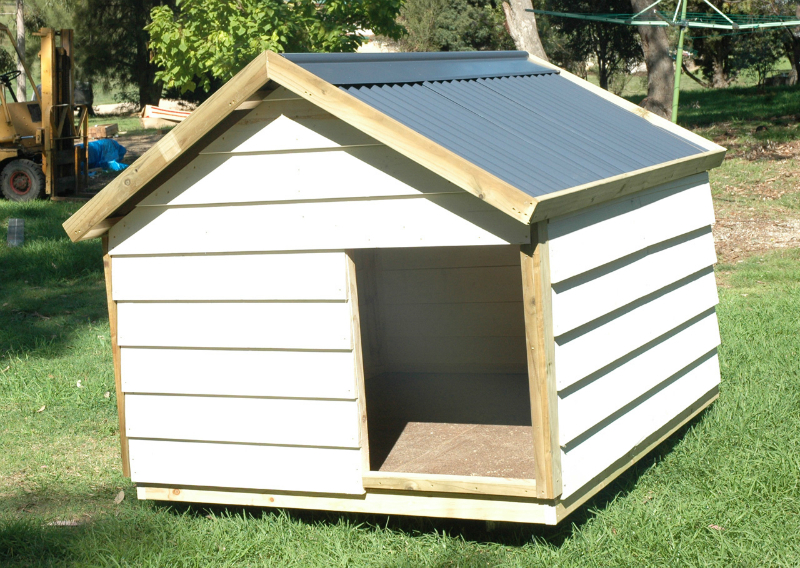 These beautifully designed wooden kennels are easy to clean, will compliment all of the other timber products from the Kidzone range and be a perfect accent to any home. 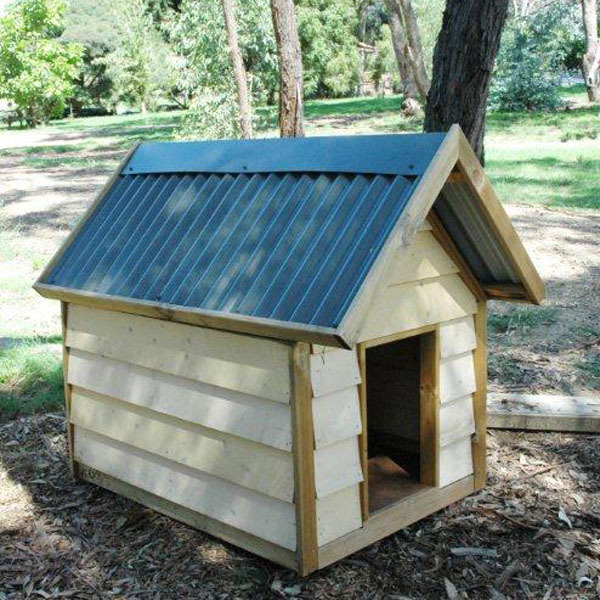 Truly a timber home for your dog that will makes his or her mates envious. 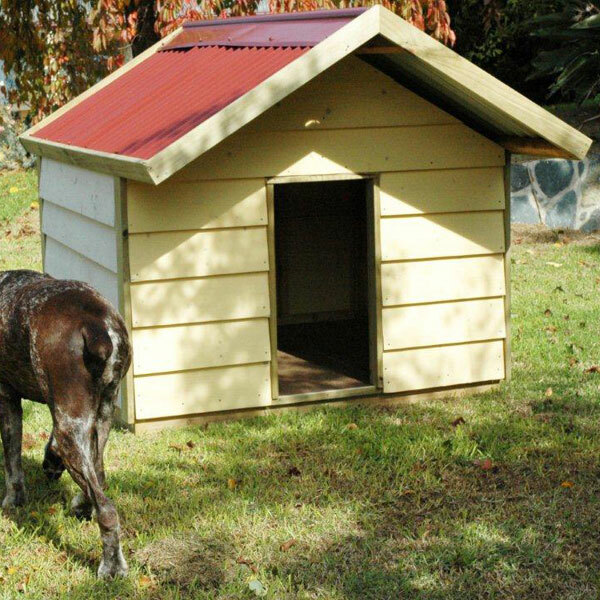 The timber kennel comes complete as a flat pack with detailed assembly instructions and all the fittings and fixtures required. 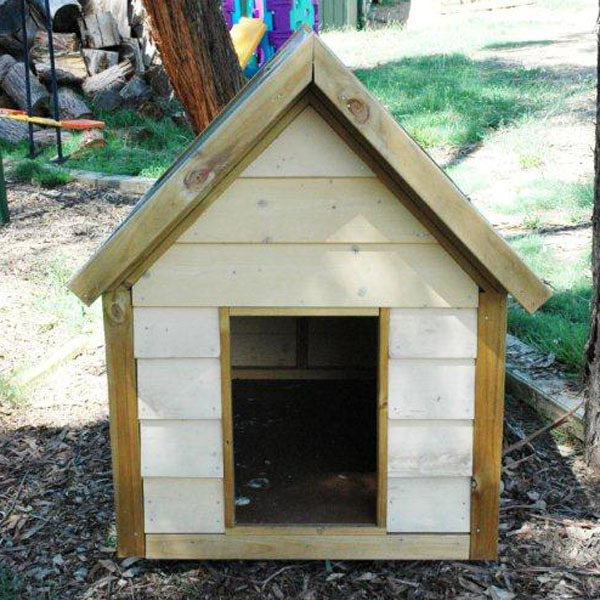 It can easily be assembled by one person within an hour.